Discount supplements have the best deals at the moment. Optimum Nutrition is a far more superior brand in ALL ways. Sorry, but truth is truth and I personally wouldn't waste my hard earned gains on something which is essentially crap in comparison. Myprotein you can't go wrong. They always have deals especially on Fridays. £18.99 for less than a kilo you must need your bumps testing. great brand but so overpriced . myprotein is the "whey" to go . last week i got "hurricaine xs" which worked out at under £5 a kilo with the promo they ran . always good deals running so please dont waste your money . ​yes the truth is the truth and has nothing to do with your opinion. Protein is protein. Sorry, cold vote. 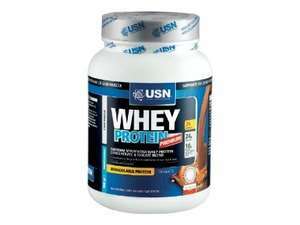 You can get the 2.2 8kg tub of the same USN protein for £37.88 from Bodybuilding.com. That works out at 1.1kg for around £19. Free delivery at bodybuilding.com over £29 spend. As for myprotein, upsets my stomach. Is the only brand that does it, so goes to prove it is the cheapest for a reason!